RESET Your Buttons First Friday Lunch, Learn and RESET! Name: RESET Your Buttons First Friday Lunch, Learn and RESET! RESET Your Buttons Networking Luncheon "Lunch, Learn and RESET!" Our community is growing. Join a group of like-minded people who are ready for a RESET. It may be a RESET in your career, in the way you approach your work, within your business or family. Life can be harsh. Navigating through the days is often tricky. We all need a place to pause, breathe and meet with people who face similar challenges. We want to learn from those who have successfully walked the same path. RESET Your Buttons - First Friday is based on the principles of the book RESET Your Buttons® by Mary Elizabeth Murphy. 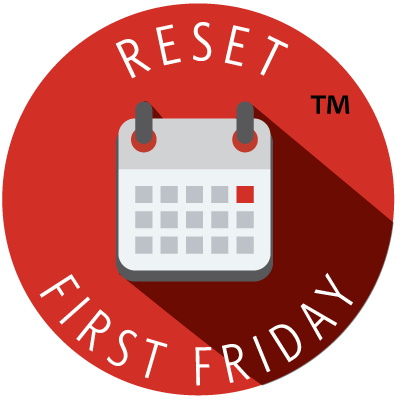 The First Friday of every month we have lunch and learn ways to RESET. The luncheon includes a brief presentation on ways to RESET Your Buttons and Create Relationships that Work - at home, in your career, in your community. Each month we learn how to apply the principles to your real-life situations. Community members and sponsors also share their tips, tools, and solutions.